Can a non-surgeon doctor perform surgery? Dr M C Gupta, a doctor turned lawyer, provides medico-legal opinion on a frequently asked question, especially after the recent murder of a doctor in Chennai, if a non-surgeon doctor can perform surgery. Dr Gupta holds an MD (Medicine) from All India Institute of Medical Sciences (AIIMS), an LLB from Delhi University and LLM from Kurukshetra University. He has served as a faculty member at AIIMS for 18 years and as professor and dean at the National Institute of Health and Family Welfare. Currently, Dr Gupta is a practising advocate with health and medical law as the area of special interest. 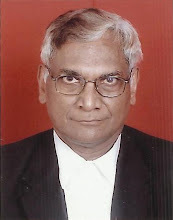 He is a member of the Supreme Court Bar Association and Indian Law Institute. 1) An MBBS is a graduate in surgery and hence he cannot be legally denied the right to perform surgery. However, law operates not in vacuum but in a real situation with respect to time, place and person. Certain surgeries could be validly performed in a remote place where there is no surgeon available to alleviate the suffering of people, especially in emergency, but yet would not be expected to be done by an MBBS where qualified surgeons are easily available. a) An MBBS doctor can undertake those surgeries about which he has been taught/trained in his MBBS course and in which he is experienced. b) He should preferably not undertake surgery involving general anaesthesia. c) He should not routinely hold out as a surgeon, especially when a qualified surgeon is available in the area. d) Relaxation in the above norms may be permissible in emergencies where it is a question of saving life. 3) Attention is drawn to the following guidelines issued by the Andhra Pradesh Medical Council regarding surgery that may be performed by MBBS doctors. What Can an MBBS Doctor do? (1) He can do all the Minor Surgical Procedures for which he is trained in MBBS Course and Housemanship. (2) He can do Deliveries and its related procedures as trained. (3) He can do National Programmes like Tubectomies & Vasectomies. (4) In emergencies if a qualified surgeon is not available in the near vicinity as a life savings measures he can do first aid and a Surgical Procedure based on his experience. 5) An MBBS doctor or an anaesthetist or a psychiatrist in private practice should not, in general, perform surgeries routinely, especially those that are major in nature, and should not hold out himself as a surgeon. He may, using proper discretion, perform surgeries in remote places where no surgeon is available or when there is an emergency situation. 6) In Surinder Kumar (Laddi) and another Vs. Dr Santosh Menon and others 2000;(III) CPJ 517, the Punjab State Consumer Commission held that there is no bar against an MBBS performing a Caesarean section merely on the ground that the doctor does not have a qualification in Gynae-Obs (Gynaecology & Obstetrics). Editor: Readers are welcome to send their medico-legal queries to editor@aalatimes.com and we will try to get them answered by Dr M C Gupta and publish the same on AalaTimes.com. Please mention your full name, designation/specialization and organisation in your email. no big no …. one should have sound knowledge theory & practical over the time that under the proper guidance. there is no room for monkey business please. nothing is worse than nuisance. mbbs stream should be consider for special traning programme to make them legally fit to practice under the law in different stream as candidates undertake housemanship .do not put them in vague terms & condition that if not available or in emergency etc he can manage? It is illogical that after passing a particular exam and gaining an experience for few years one is considered competent enough for the rest of his life and a MBBS doing 15-20 years of service in a particular branch is not considered competent for it ! what a shame.An eligibility test should be held every 5 years to check the competency of a doctor.I have seen many such examples of lousy specialists and bright non-specialists in my 22 years carrier. Quality medical care depends on evidence based medicine. Obviously for delivery of quality care it is essential for a qualified doctor to update him with latest advancements in medicine. An eligibility test at an interval of 5 or 10 years, as in other advanced countries, should be held. I thought I M A had introduced this system before!! As per rules an MBBS doctor with house job in General Surgery may perform only minor surgical procedures & to refrain from performing major surgeries esp. for those working in urban areas having availability of Surgeons/hospitals, to whom they should refer the major surgical cases esp. the emergency ones. Simply doing House job after MBBS does not give a license to perform any major surgical procedure of any surgical speciality Rural scenario may be different sometimes where a Surgeon may not be available. Even then after giving first aid the case may be referred to a surgeon/hospital available in the nearby urban area. What to talk of an MBBS doctor to perform any major surgical procedure the law does not permit even any other specialist to perform a major surgical procedure of other`s speciality. The answer remains the same of upgrading the infrastructure. I am MBBS DipGO.Two years back i did one LSCS in other my collegue hospital in a patient of previous CS.Baby was alright.But after suturing uterus i noticed a hematoma on left side of uterus.I tied the uterine artery on that side.Since I thought it may increase in size,i shifted the pt to higher center under other gynec MD.He did Laprotomy.He found everything ok and gave 2 blood.After 12 hours patient got expired.PM report showed intraabdominal bleeding. Sir Now i am in legal problem.I want to ask you Can a MBBS doctor perform Caesarean Section? Is qualifications enough to perform surgery ?not all surgeons can perform all types of surgery ,like Whipple ; shunts . Where is proof that surgeon has reasonable competence and skills to perform any type of surgery- you are dealing with humans ,to legitimate using knife on human body to cut ,on the basis of mere certification in modern era is unethical. isnt it time set guidelines or privilege all physician and surgeons; who can do what intervention ,type of surgery ? Dear sir; a Lawyer from Pakistan; i would like to have your comments over the situation where Doctors are performing Cesarean section (which is a major operation carrying with lives of two or more) without any reasonable experience. They do MBBS+House job and few do FCPS (4 year training under supervision of seniors) and start doing Caserrean . Even during four years of FCPS they privately started operations ; even in big cities where experienced surgeons are available ; in not that a criminal act on the part of doctors?